We Took the Road Less Traveled: Snail Mail From 5,500 Miles Away! I don't know a single person in the world who doesn't like getting mail. Birthday cards, letters from loved ones, or even a postcard from some far away land...it all sounds pretty awesome to me. I love the feeling I get when I open our mailbox and find something other than a bill or junk mail. It's like a little beam of sunshine illuminating an otherwise dull and boring day. That's why when my good bloggy friend Jessica at Jessica Lynn Writes mentioned she was hosting a fabulous Postcard Swap, I couldn't resist participating! I do apologize for the fuzziness and glare in the photos. I was taking them while riding in a moving car. Not the most ideal place for picture snapping. Statesville often has these little hot air balloon rallies, but this is the first time I'd seen one in a good long while. 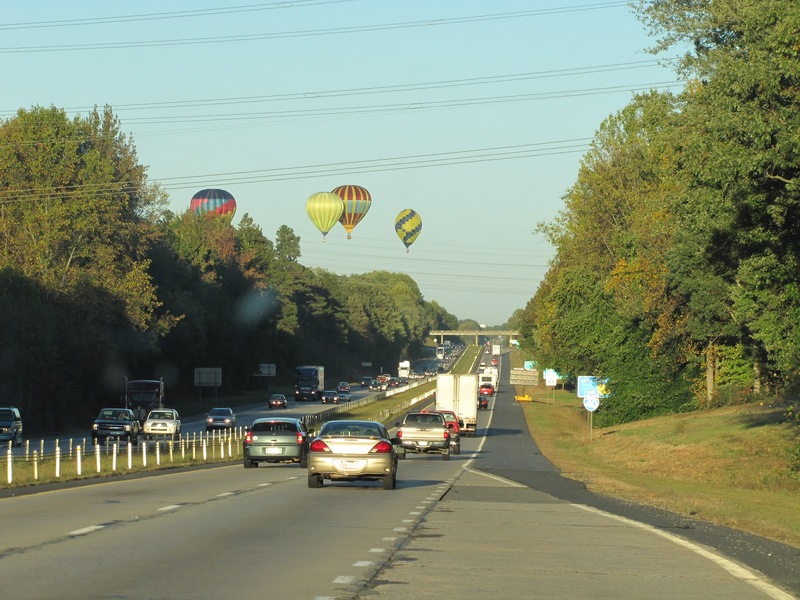 It was a nice surprise to find those colorful babies floating along the skyline on our usually boring drive home. A sight to see, right?! Very, very cool. 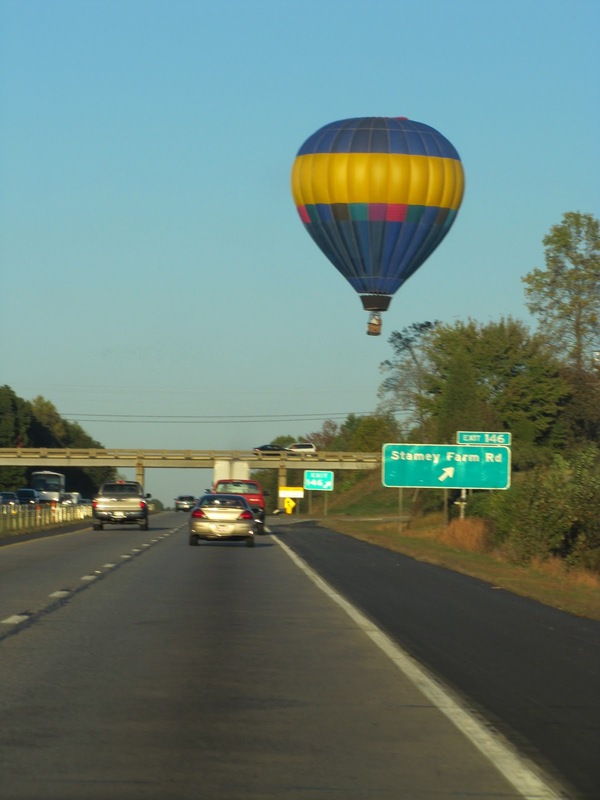 Although, I don't think the balloon pictured below actually intended on a land so ridiculously close to the interstate! WOWZERS! A little too close for comfort, if you ask me. 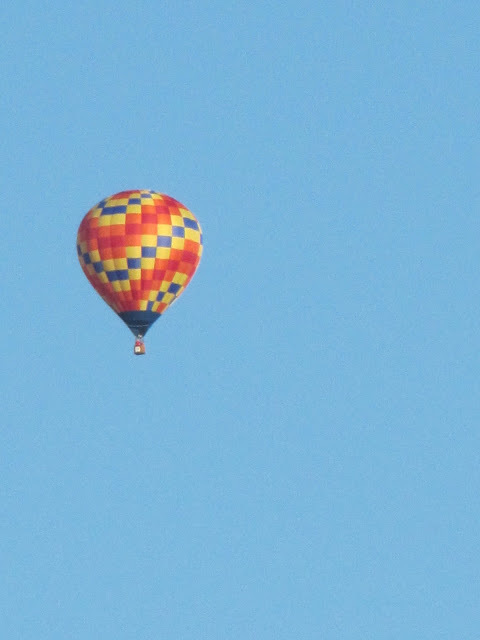 Nevertheless, it was super exciting to see a giant hot air balloon descend literally 30 ft from our moving car. Those guys deserve some kind of hot air ballooning award for maneuvering a land right onto an interstate on-ramp! Only in Statesville, people. Only in Statesville. 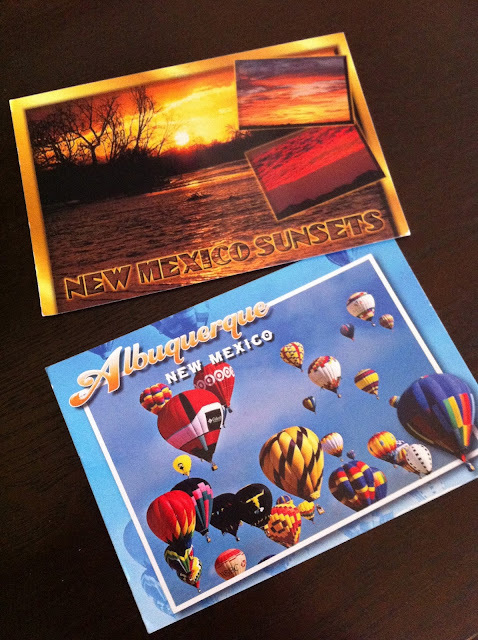 According to Sierra's postcard, Alburquerque, New Mexico is known as the hot air ballooning capital of the world! It's also home to the largest hot air ballooning event. 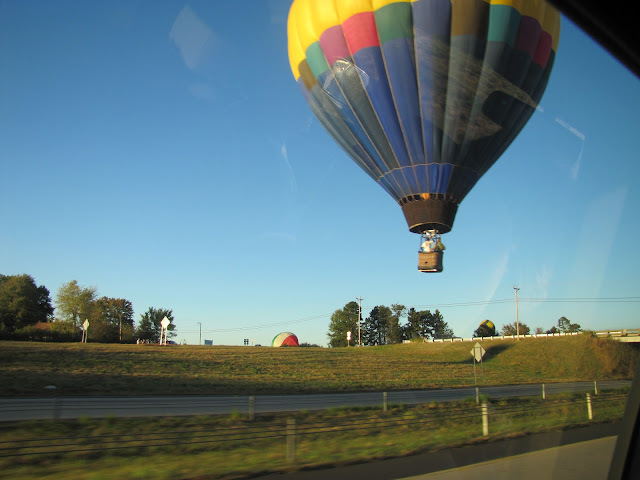 Riding in a hot air balloon is #15 on my 30 by 30 list...seems like the perfect place to make it happen! I'm packing my bags tomorrow, y'all. A big THANK YOU to Jessica for hosting such a fun swap...and thanks also to Sierra for sending me two wicked cool postcards! 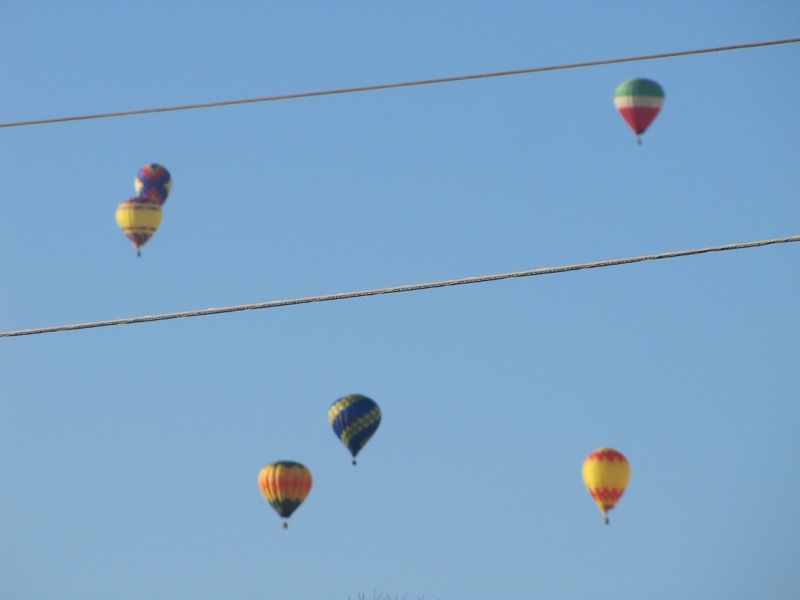 I'm definitely adding New Mexico to my bucket list! YEA! Thanks for participating! Ya know, you're more than welcome to take a hop back over to Albuquerque with me anytime—that's home for me! I was *thisclose* to matching myself with Sierra, but wanted to share the New Mexico love with others. Glad I paired you guys up together! And balloon rides are freaking AWESOME...you're going to love it! I'm glad they arrived! I am in love with this place and hope to return to it. I have definitely become enchanted by the Land of Enchantment. 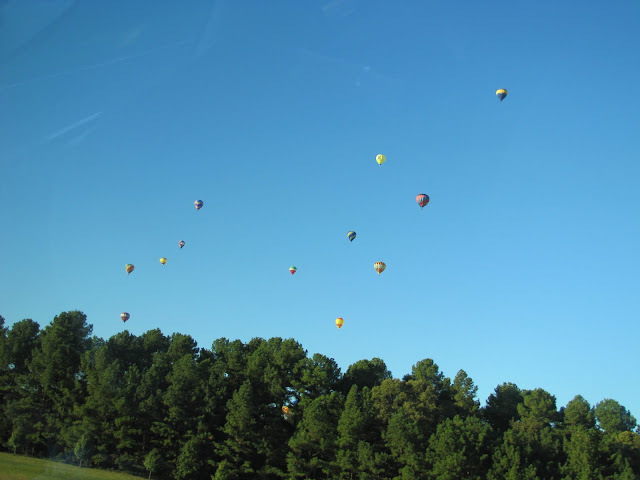 I've driven through Statesville several times and seen all of the balloons... it is absolutely beautiful! I have to admit, at first I just skimmed down through your pictures without reading where this was, but then I knew immediately when I saw "Stamey Farm Road!" Gotta love NC! Sierra was my Christmas Blogger Secret Santa! 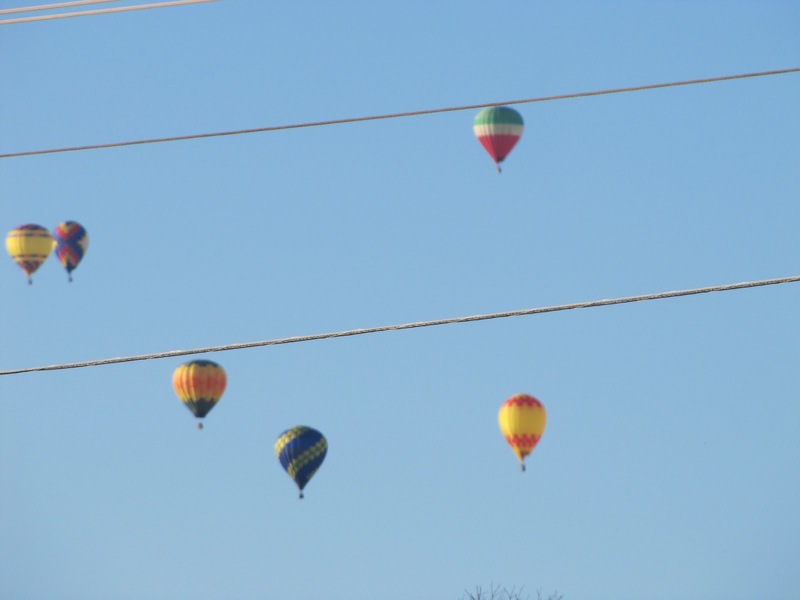 :) Glad to see you back on the blogosphere - and glad to hear you had a nice trip!